Beat It And Go Wild! 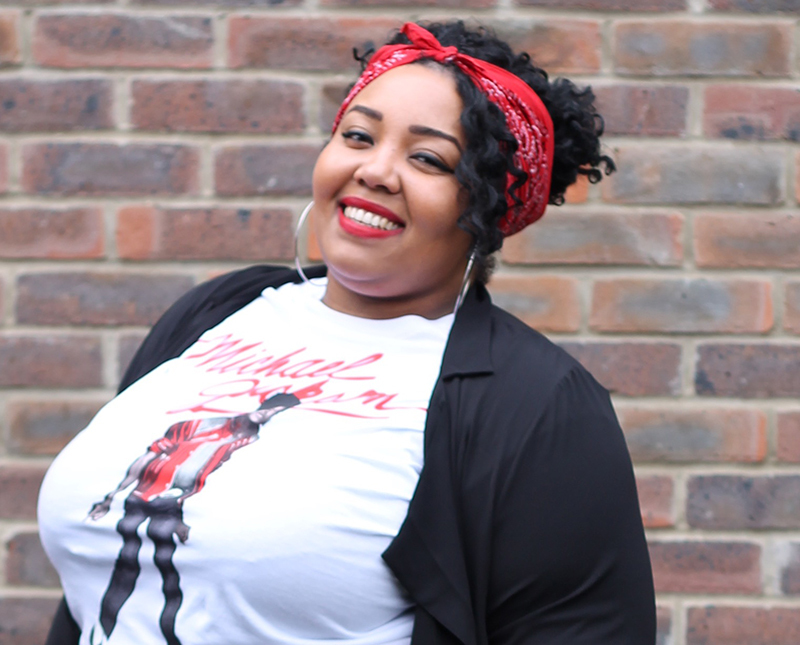 It’s no secret that I’m a huge Michael Jackson fan and a big part of my fanship to Michael is included in my wardrobe! 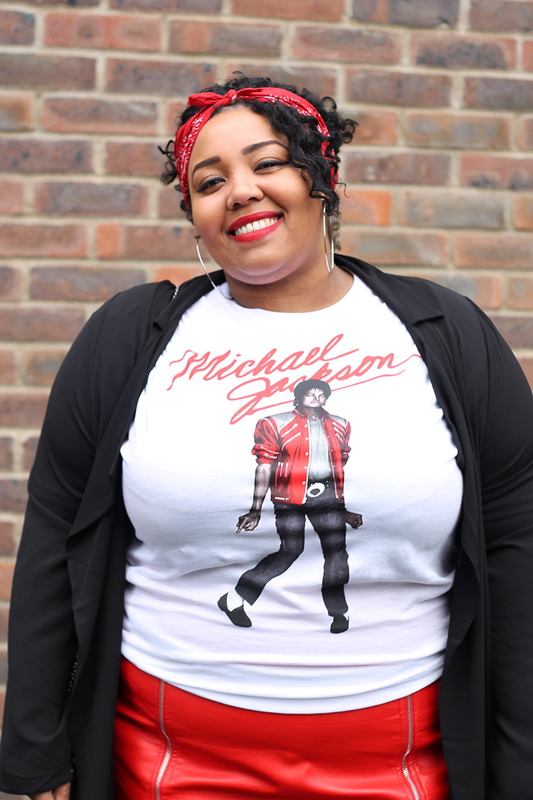 Now that the sun has started to shine in London I am using the opportunity to bring out some of my MJ t-shirts and incorporate them into my summer style with a little flair. In a recent post of mine I decided to wear a tee in a more dressy way, this time I thought I would put a casual spin on things. I thought I would wear a modern tee with a vintage look and pair it with a bright and fun skater skirt. 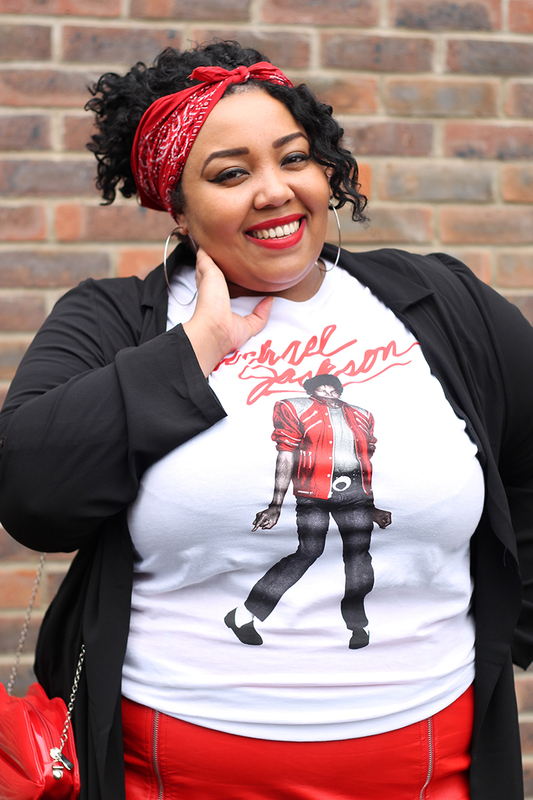 The “Beat It” style t-shirt which is currently available from our online store King Of Shop is one that I think works with many different looks. Available in UK sizes 6-20 and at the current sale price of just £14! The world famous image used on record sleeves and vintage t-shirts all over the world has made a comeback and it’s one that all the ladies seem to enjoy wearing, especially me! With the cute folded sleeves and red diamanté adornments this one that was most definitely going to be worn by me this season. 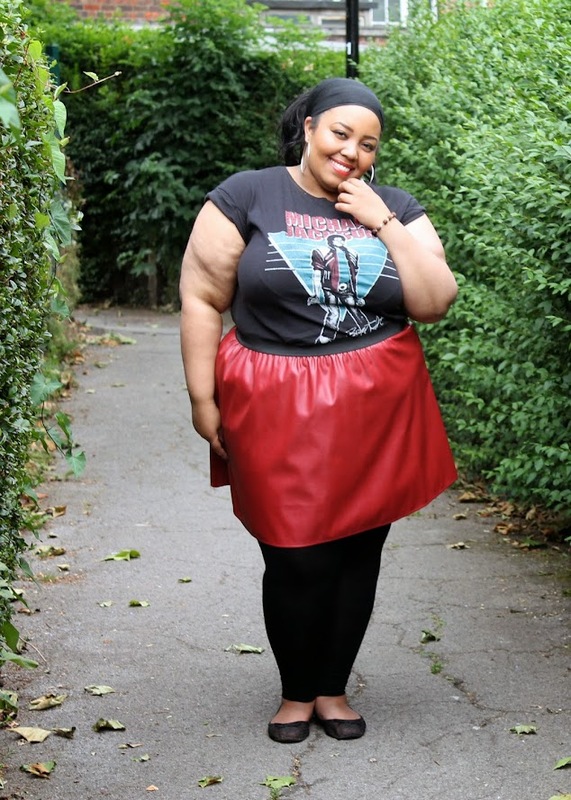 I like to colour coordinate as many things as possible and so I thought I would wear my scarlet red lipstick and pair it with this red pleather skirt from Primark both items are in size 20. As I have mentioned in the past I used to just wear mine with a simple pair of jeans for comfort and ease but I really want to show that you can have fun when styling t-shirts. For this one I could have gone a totally different way and used the teal colours in the t-shirt to help me complete the look. Pastels are huge at the moment so maybe a turquoise clutch or nail polish would look cool. Teal or Turqouise leggings or jeans would have been a cool way to go also. I guess my love of vintage styles had me reaching for the red pinup colours with this one lol. At King Of Shop we have decided to showcase that the King Of Pop can and should be worn with serious style and flair in our Respect Your Monarch campaign. Fans and friends alike are all taking pics wearing MJ in fun and fashion forward ways and you’ll be seeing more posts like this from me in the near future. If any of you are wearing music tees this season I’d love to see who your chosen picks are and how you’ve made them work with your style. Feel free to drop me an email or a message so I can see what you’ve come up with!